"Dom pod Jedlami" (eng. 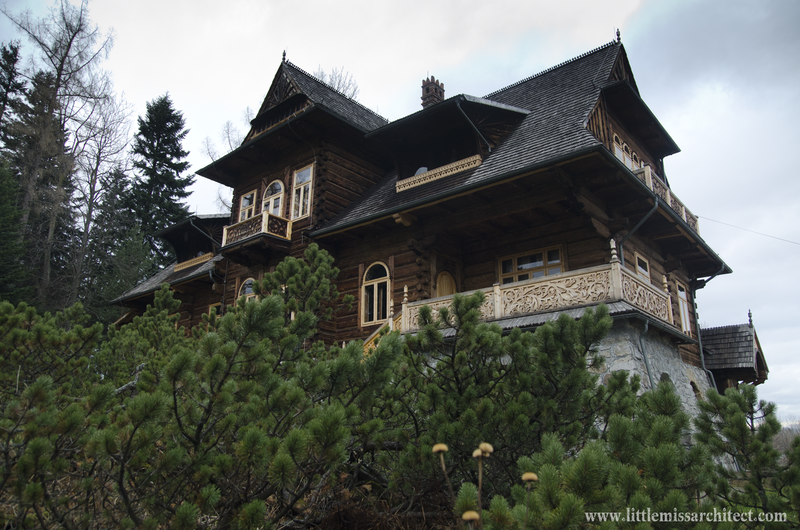 "House under the Firs") in Zakopane, a mountain town in the south of Poland, was designed and built by Stanisław Witkiewicz for Jan Gwalbert Pawlikowski in 1897. As Jan Gwalbert Pawlikowski was my great-great-grandfather I spent there an important part of my childhood, mainly during the holidays. I have always loved coming there and, with time, I also started to appreciate its magnificent, unique architecture. The house has remained the possesion of my family since 1897 (which is quite exeptional in Poland where after the II World War the communists used to take away private properties) and therefore is well-kept and - except from introducing electricity and sewage system - hasn't been changed a lot since the beginning. It is also exeptional that it was designed and accomplished together with the furniture, some textiles and upholstery (i.e. curtains were embroidered on typical highlander cloth by the S.Wikiewicz's wife), stoves, paintings. 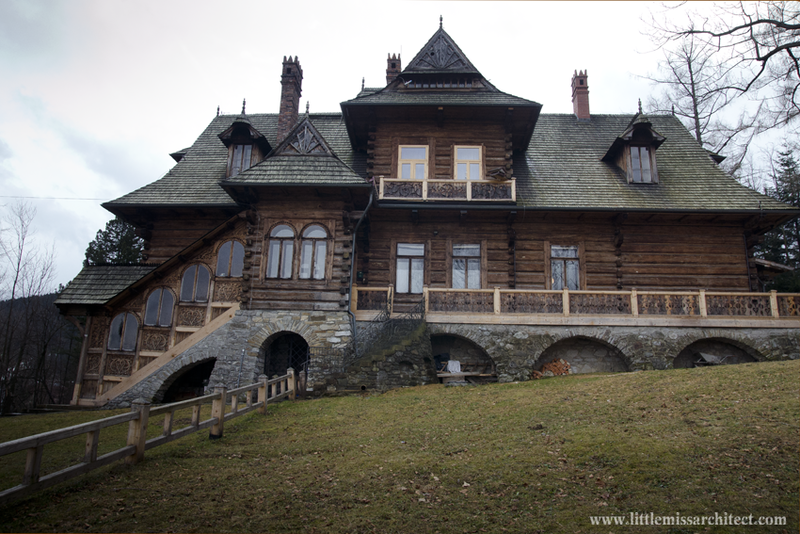 The house siting was chosen by Witkiewicz and the house is located in Zakopane on Koziniec hill, so there are beautiful views and long perspectives from all the windows. 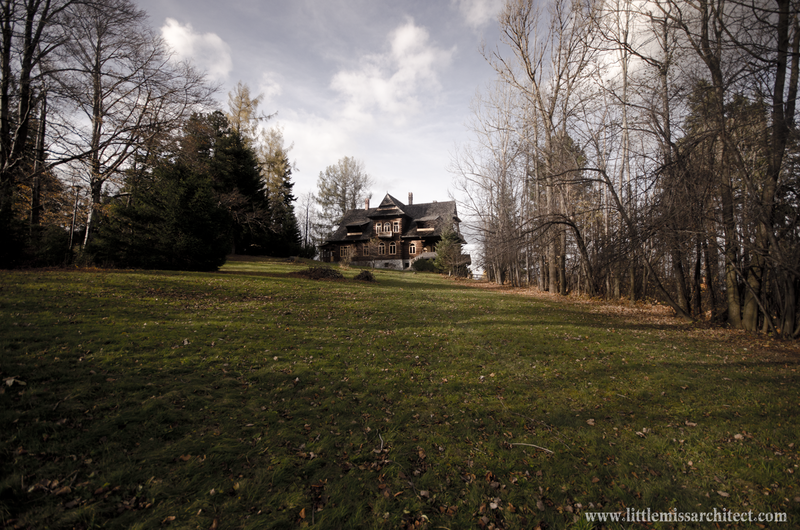 The house is surrounded with a big garden, where firs, yew trees, larches, stone pines and dwarf mountain pines grow. In the south-east part of the plot there is well designed by the architect (currently not in use). My great-grandfather loved Tatra mountains since he was young and was doing scientific research works on them and trying to protect their wild nature (as a first one). The house was meant to be a small house, a comfortable place to spend time in the Tatra mountains. Witkiewicz had a different idea though. Soon designing the "House under the Firs" became his favourite project. With time it turned out that the house, being built without any floor plans, spontaneously grew to be a huge mansion. And it was all built in less than 9 months! Stanisław Witkiewicz who introduced "Zakopane style"** to architecture was a great painter, writer and art theoretician - not an architect. He often underlined that the house was a collective work of him and of great Zakopane builders Wojciech Roj and Jan Obrochta. The floor plan design has never been drawn - the house was being built basing on Witkiewicz commands and sketches. 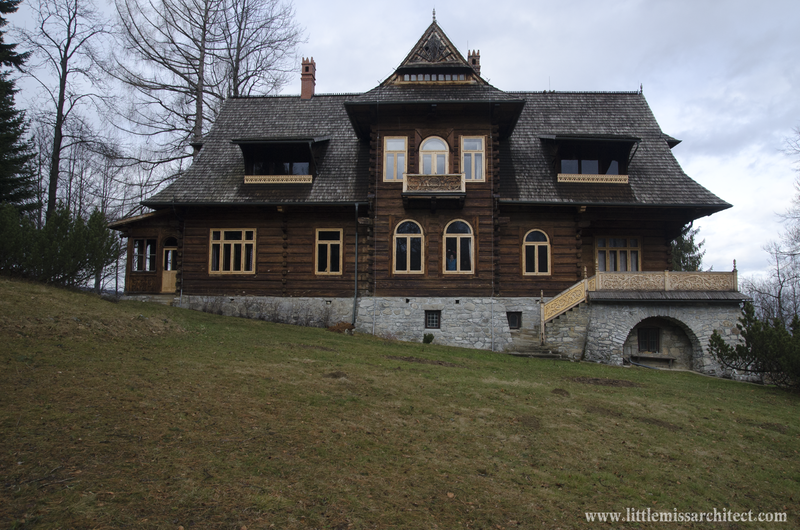 Looking at the house you can see that Witkiewicz - a great painter, writer and art theoretician - was not an architect. 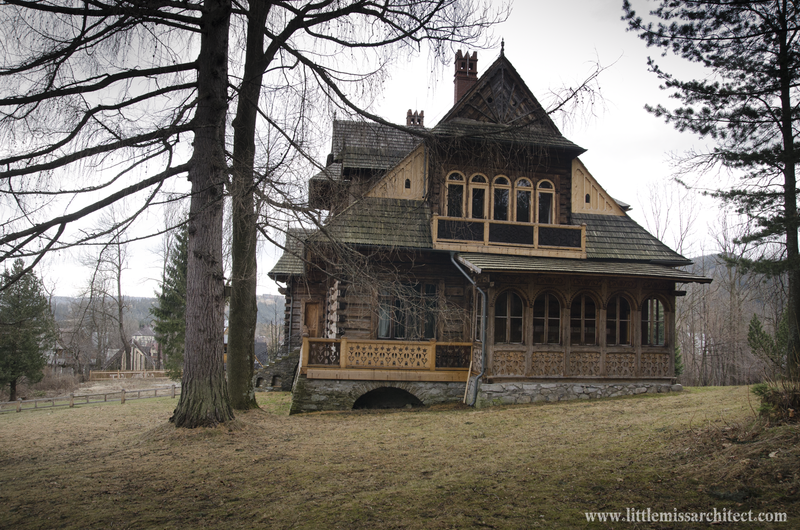 The house is not very practical - but it's so beautiful! Its main facade and most of the rooms have a view of the mountains. Built on a sloping site the building has a very dynamic and assymetrical form - although floor plan is rectangular it has two floors on one side and three on the other - where the stone foundations reach are 4 metres high. 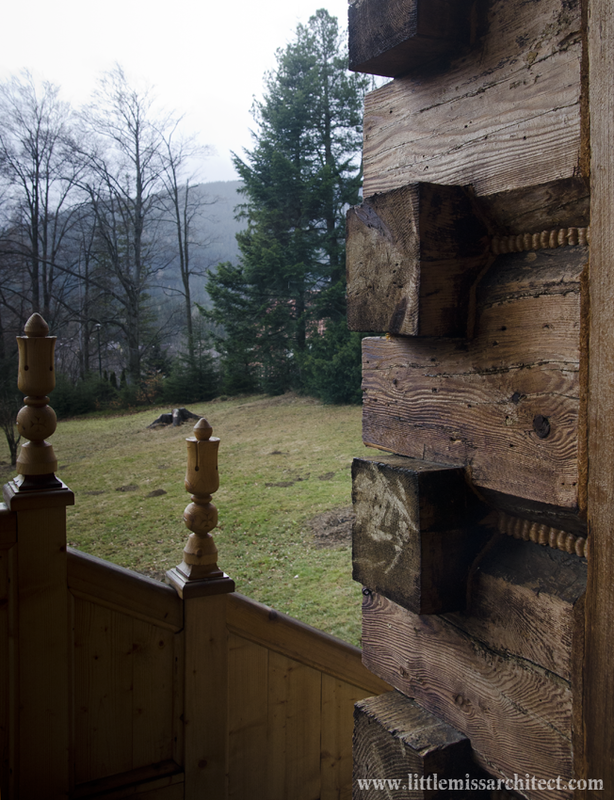 The construction is log cabin and are made of spruce wood. The house was built with no nail used! 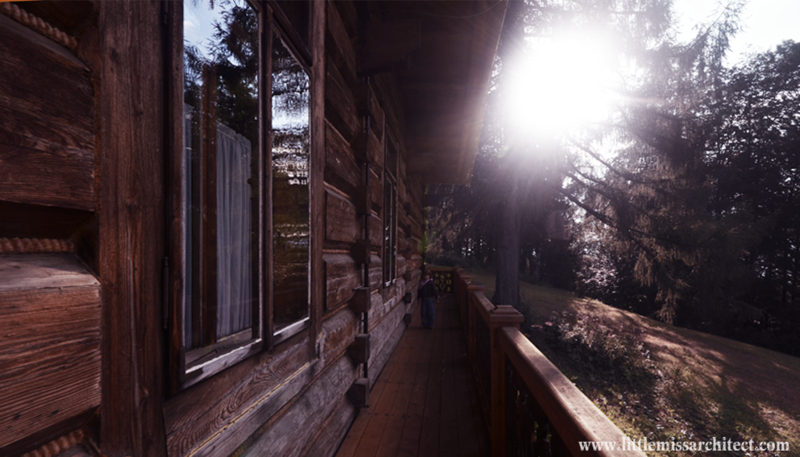 Since it has been built is not only the best example of Zakopane style architecture but also an important place for Polish culture where great artists, writers (among which Henryk Sienkiewicz and Władysław Reymont, the noble prize winners and cardinal Karol Wojtyła, the latter pope John Paul II), painters and other outstanding people were meeting. Sometimes it is also being used as a film set. 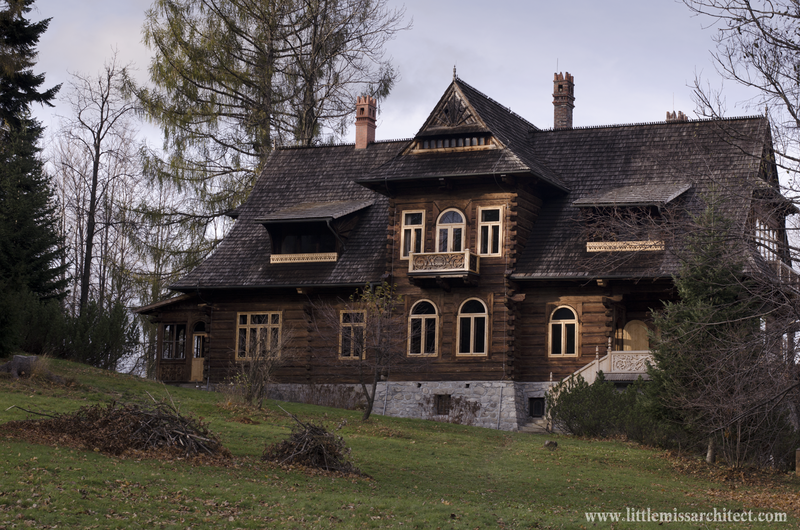 Go to the second part of the text and more photos of "House under the Firs" to look inside and see the rooms that are not available for visitors. 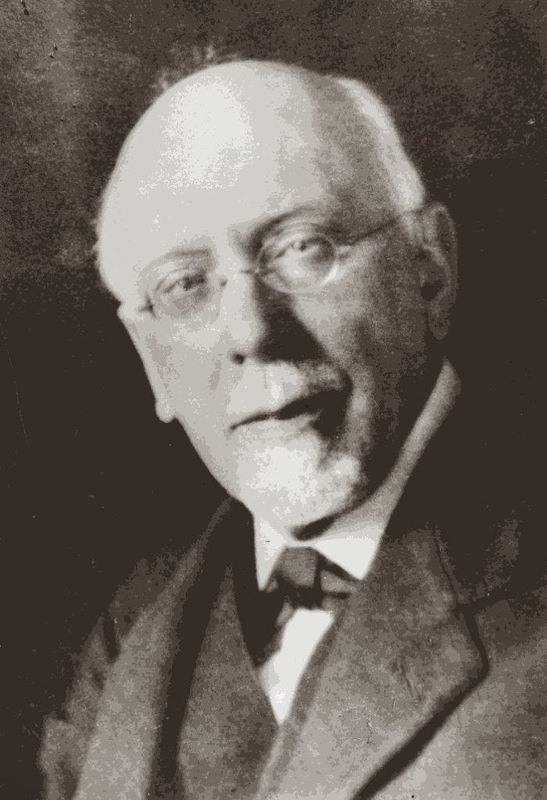 * Jan Gwalbert Pawlikowski (18 III 1860 Medyka - 5 III 1939 Lviv), my great-grandfather, was a professor of economy in a college in Dublany, near Lviv. He loved Tatra mountains and as a first one was scientifically working on protection of their unique nature, was a precursor of ecology. He was a passionate lover of climbing Tatra mountains, as a fist one he reached the peak of Mnich. 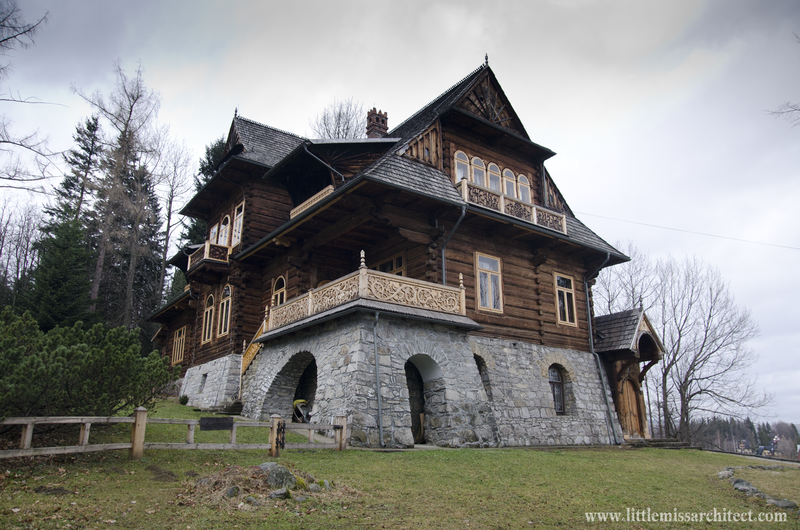 ** Zakopane style is a style in Polish architecture created in the second part of XIXth century by a great patriot, Stanisław Witkiewicz. He tried to a create Polish national style to emphazis Polish national identity (as Poland didn't exist between 1795 and 1918, its territory was split between Germany, Russia and Austria and Polish culture and language was being opressed). 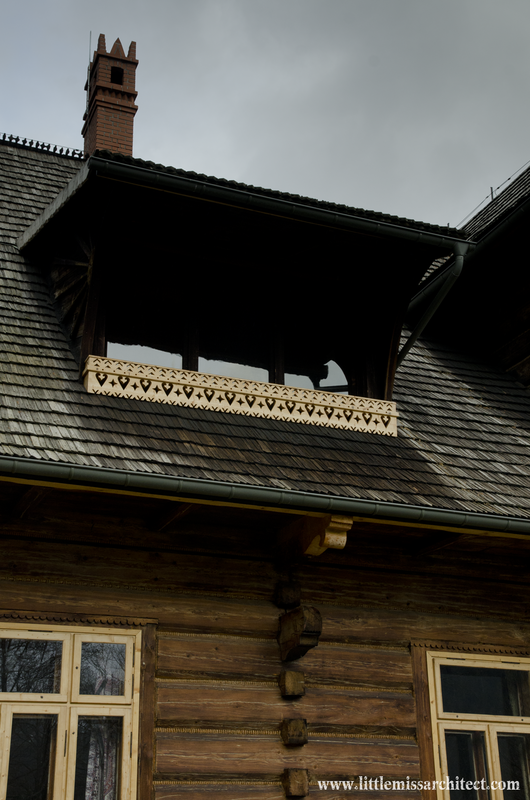 The style itself is a combination of traditional architecture and craft of Polish highland region with art nouveau and Arts and Crafts. Southern-east facade. 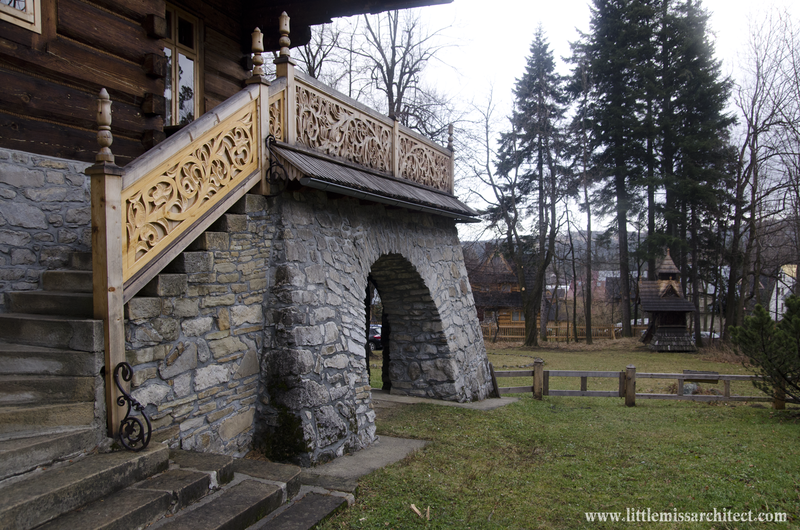 You can see that the terrace called "przyłap" is created from corner of the house that had been cut off. It's there where in summer we spend most of the time (with an amazing view of the mountains). Southern facade. I remember my grandmother dropping us sweets from the balcony on the first floor in the centre. 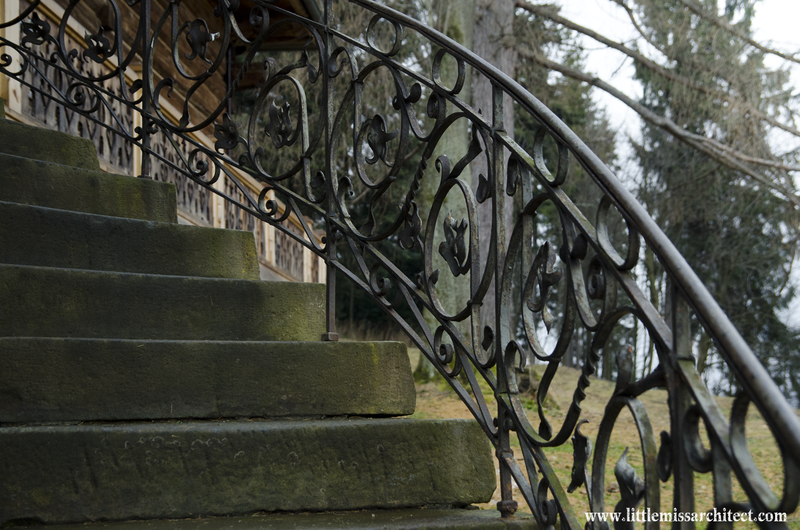 Stairs leading to the terrace which is laying on beautiful, solid foundation. On the right in the background - the wooden well. 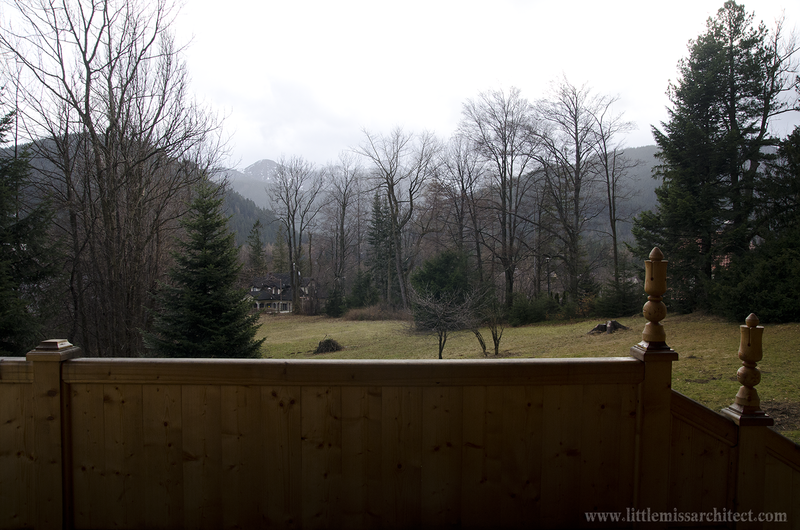 The of the mountains from the terrace. You can see that the house is a log cabin here. The well. 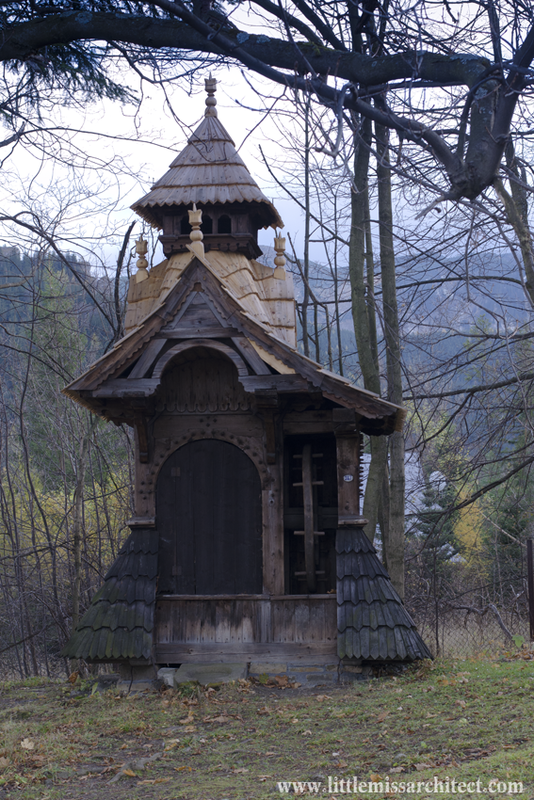 Its form was inspired with forms of wooden bell-towers. In the foreground dwarf mountain pine. This house is beautiful! I love this style of construction. I was borne in I live in the city of Itaiópolis in the south region of Brazil. My city was founded by polish immigrants and our City Hall was build following this style. You can see o photo of our city hall here: http://www.itaiopolis.sc.gov.br/turismo/item/detalhe/10173 This city hall was build following this style to honor the polish immigrants. 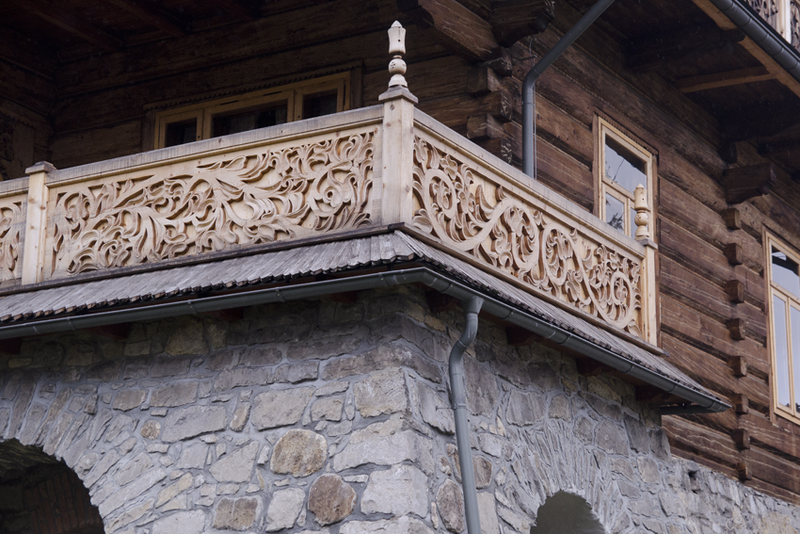 It is very interesting to know more about this style and to know about the Zakopane region. I konw that I must to visit this region some day! Wow, the city hall is clearly inspired by Zakopane style architecture! It is amazing to know, that there is something like that on the other side of the world! Thank you for sharing that! p.s. you are also of Polish origin, right? as your surname is very Polish :-) If you ever visit Poland, I will be happy to help you with organising your tour :) Best. 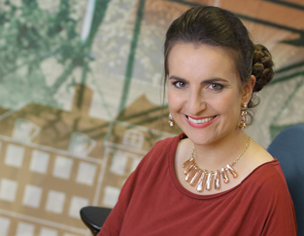 Kasia Antończyk.